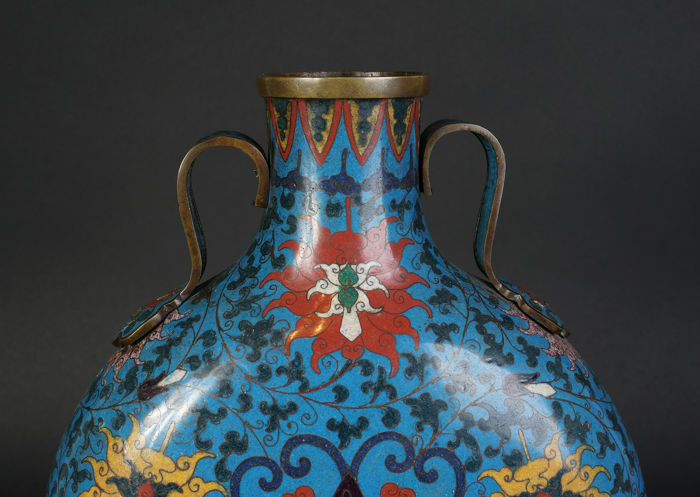 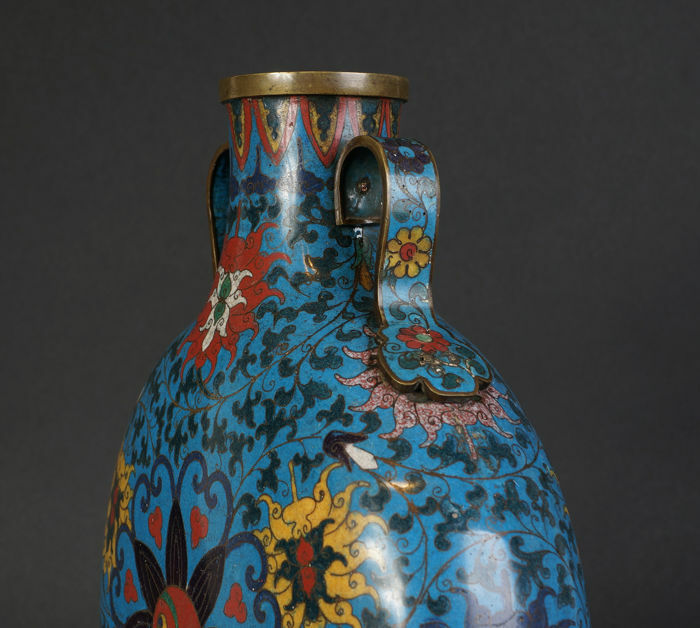 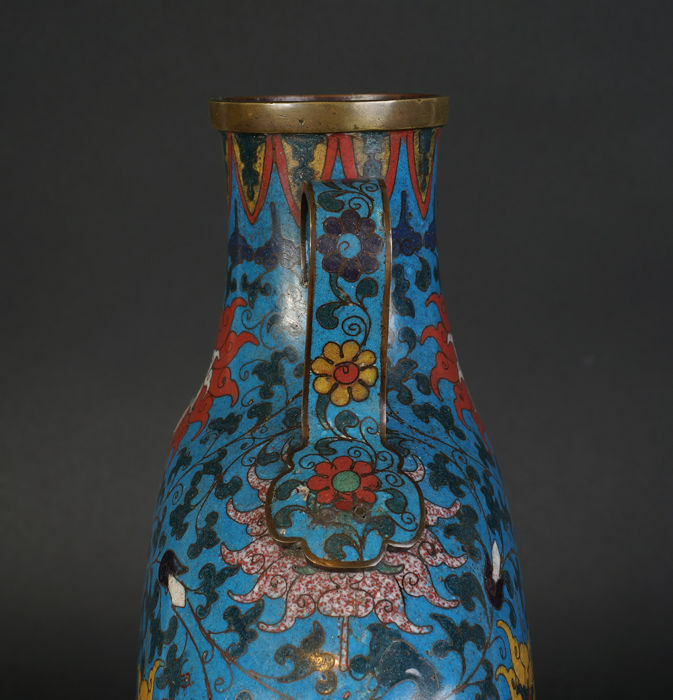 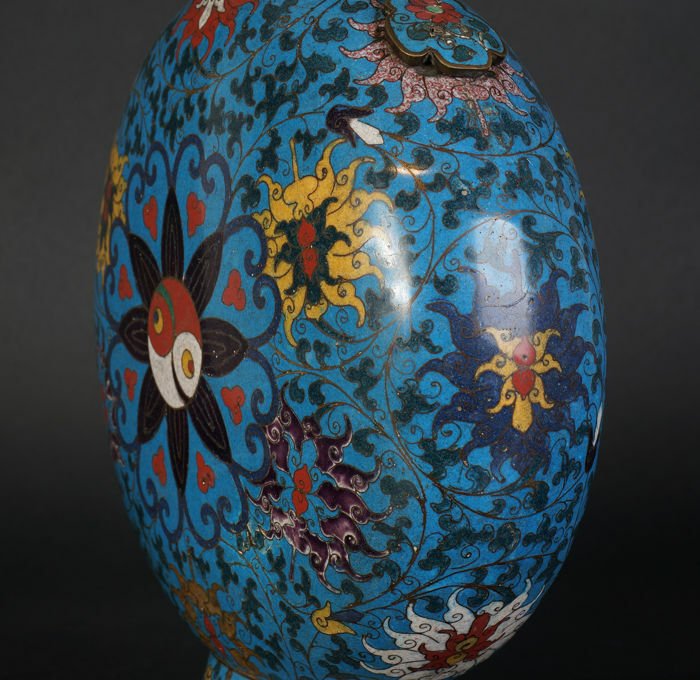 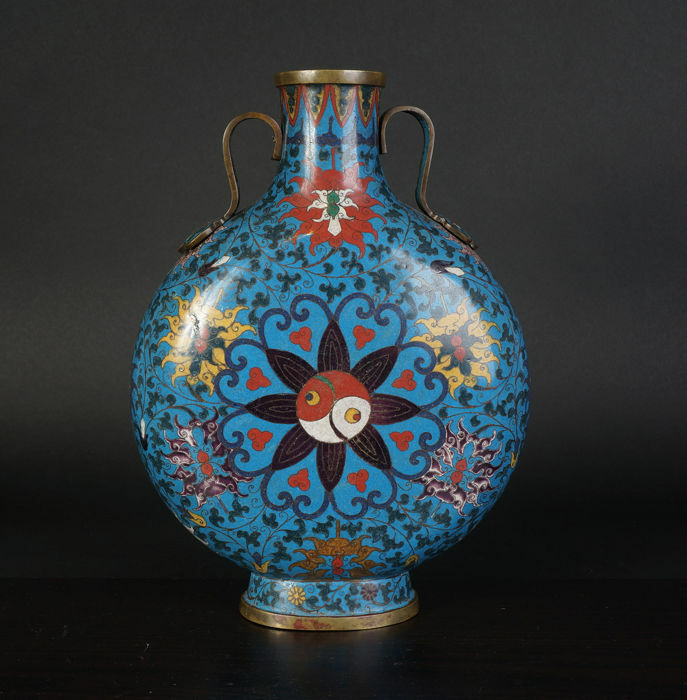 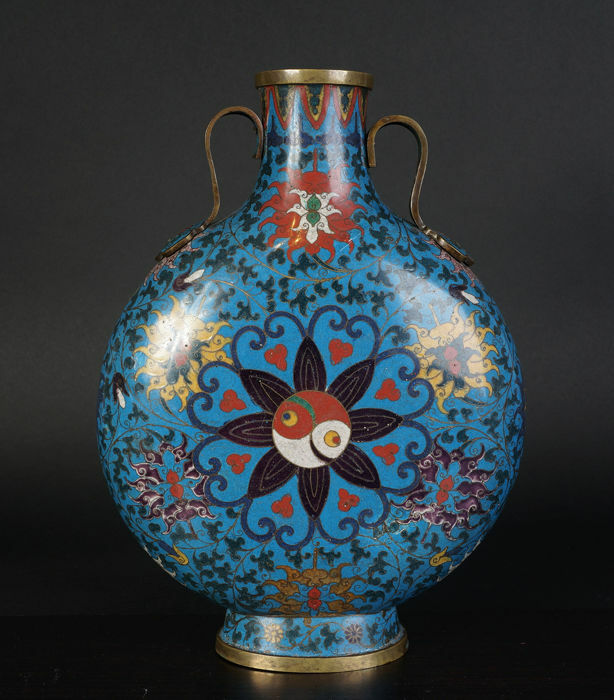 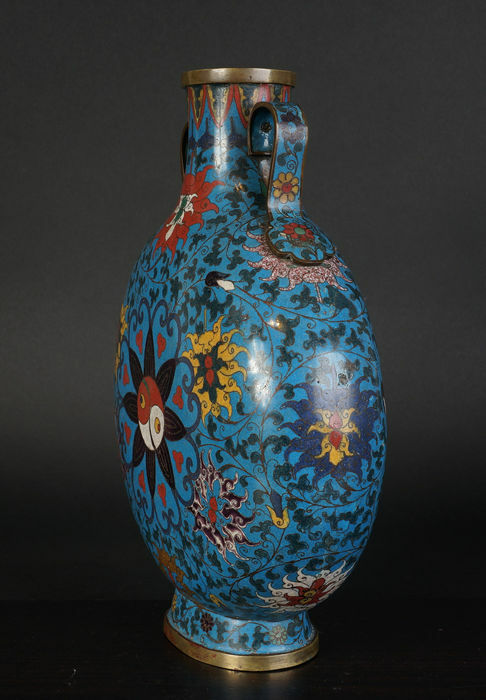 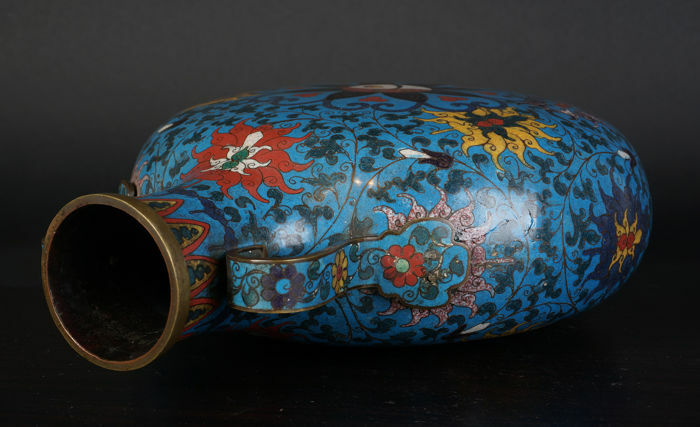 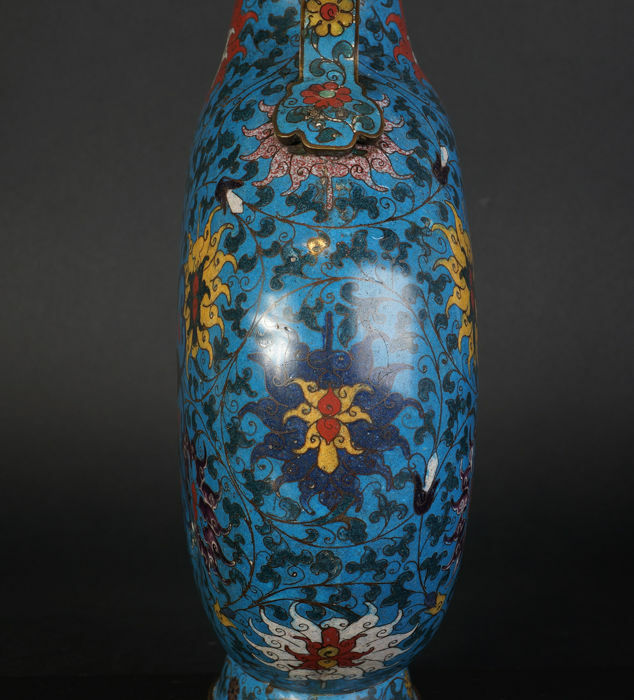 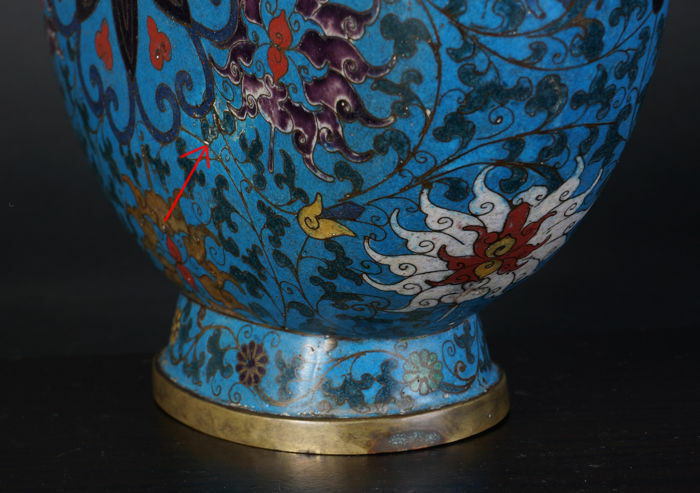 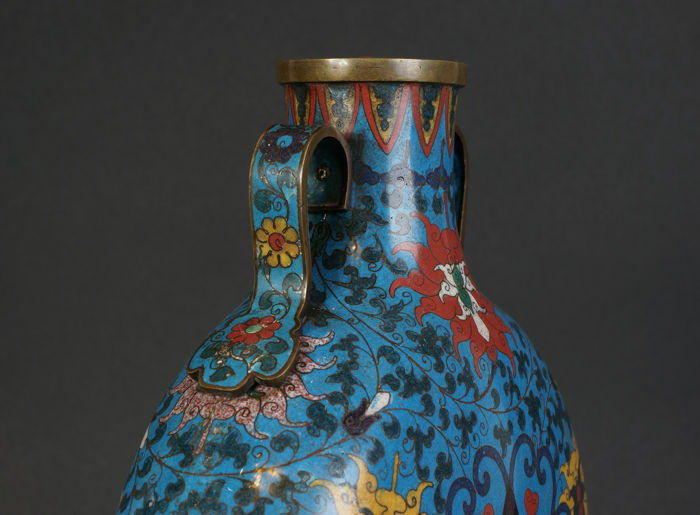 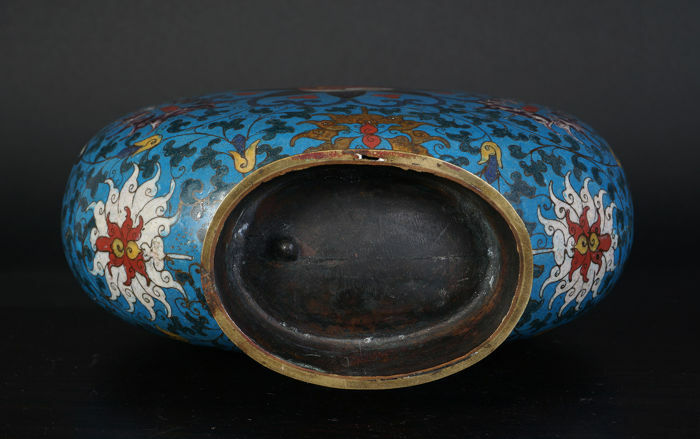 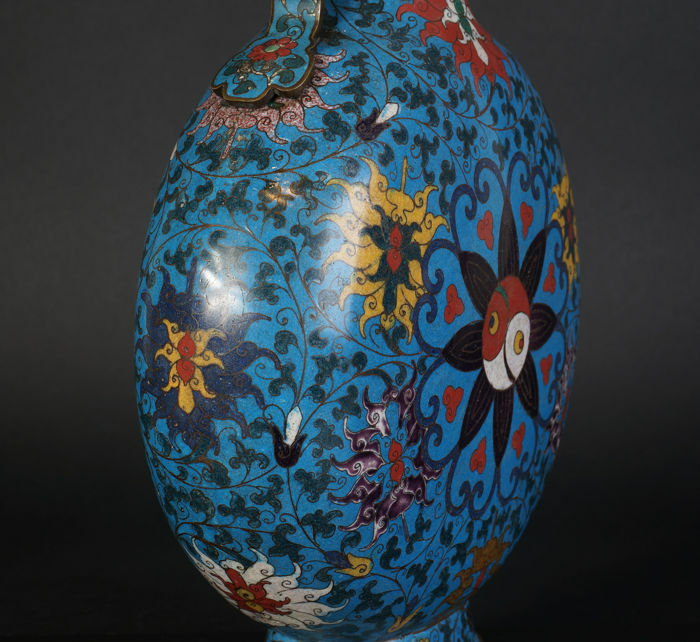 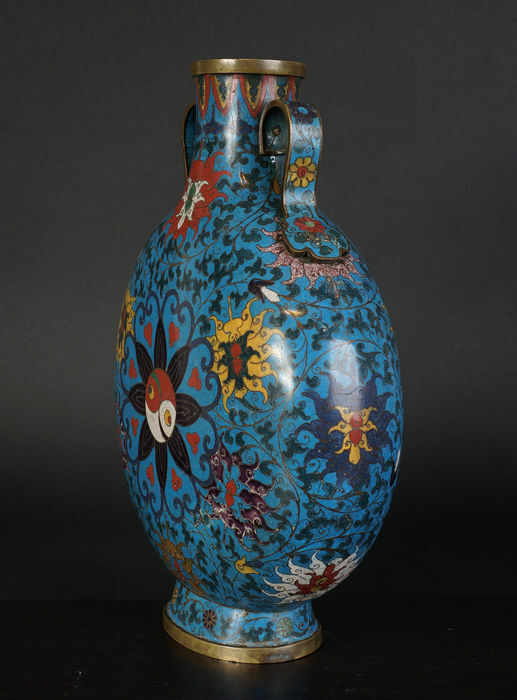 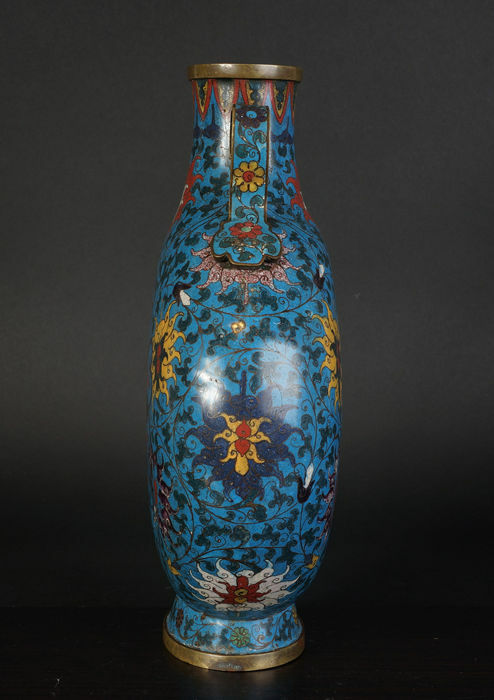 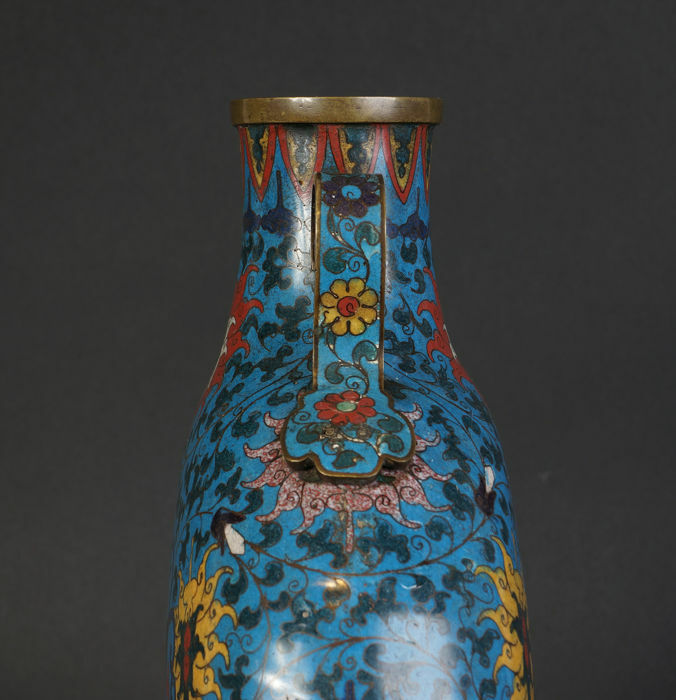 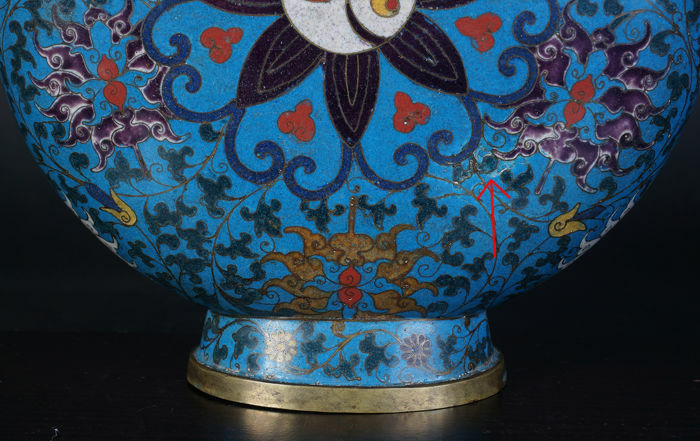 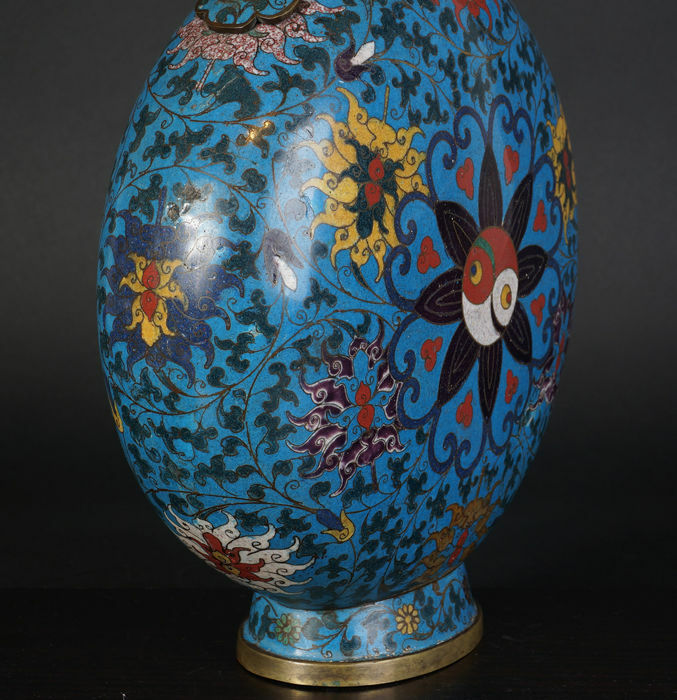 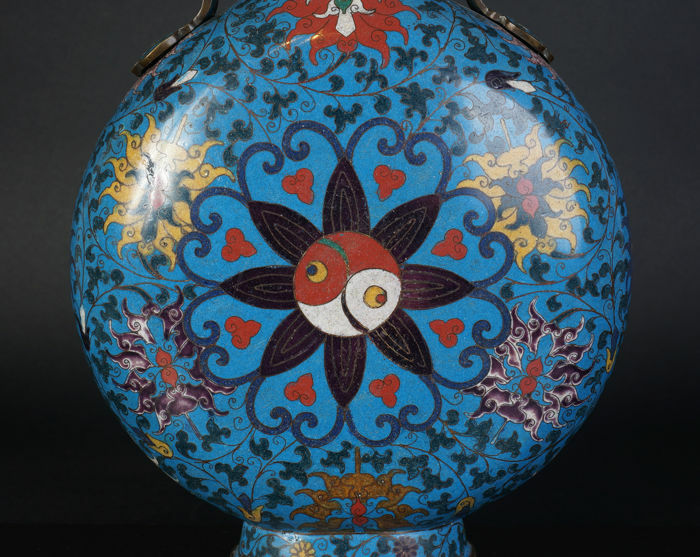 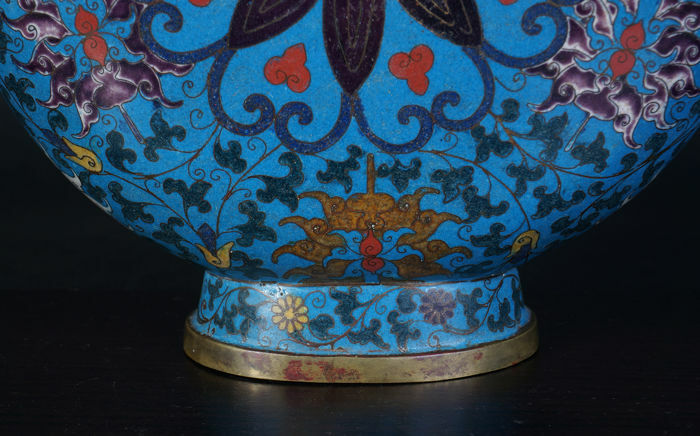 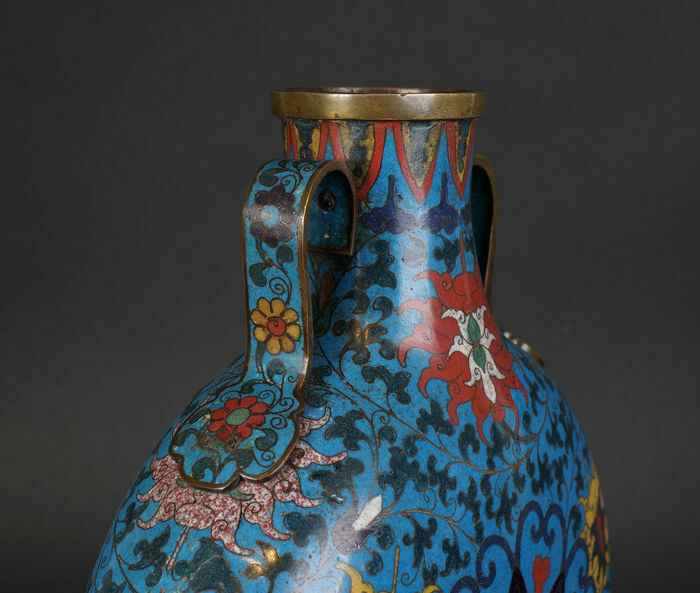 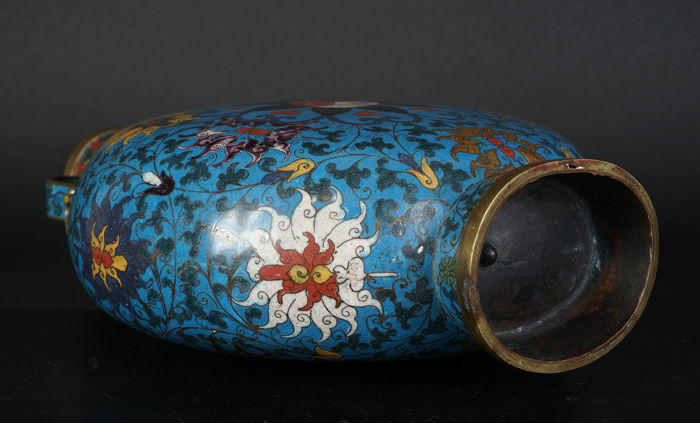 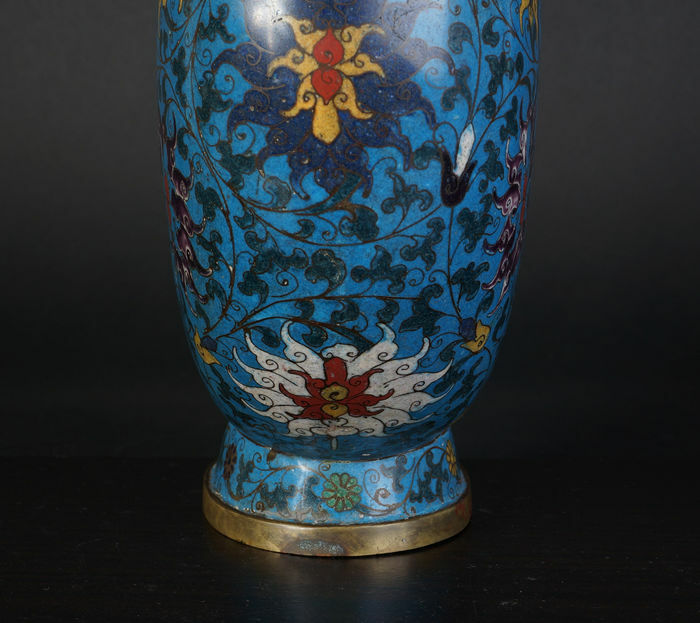 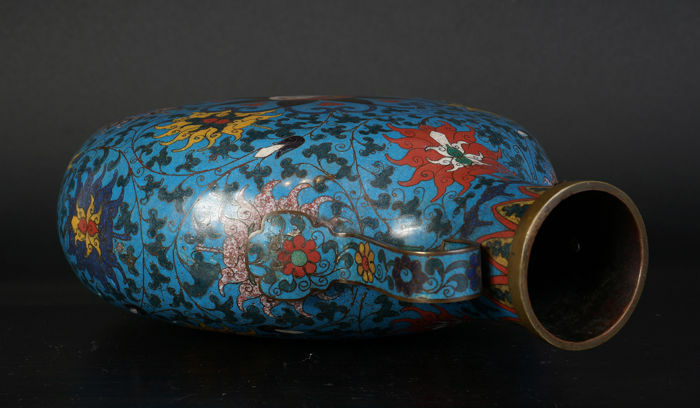 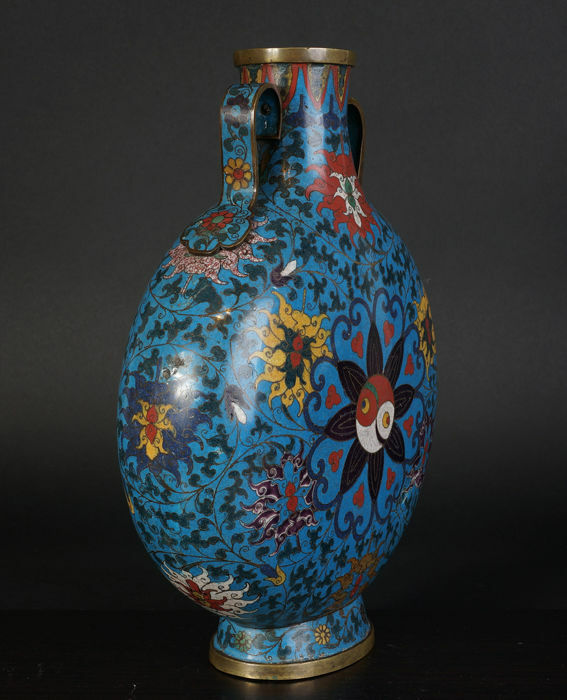 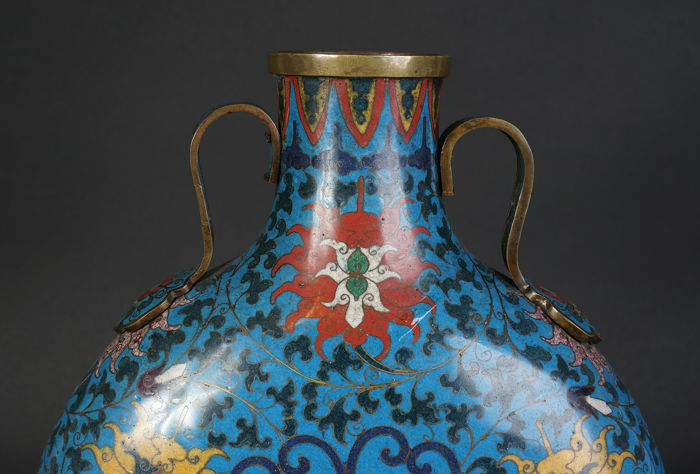 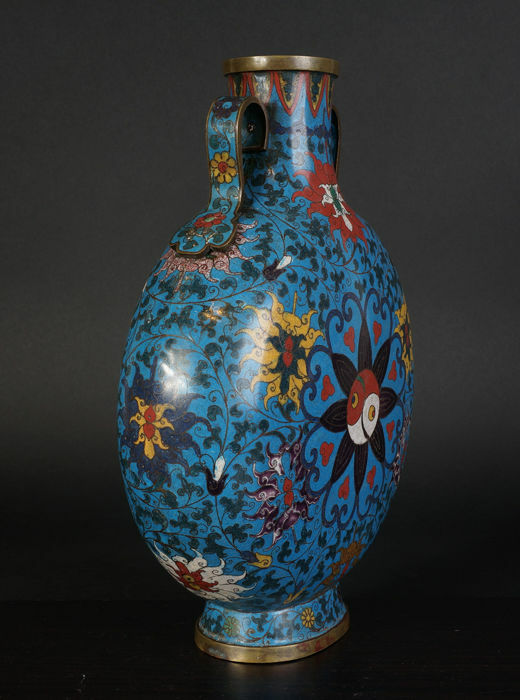 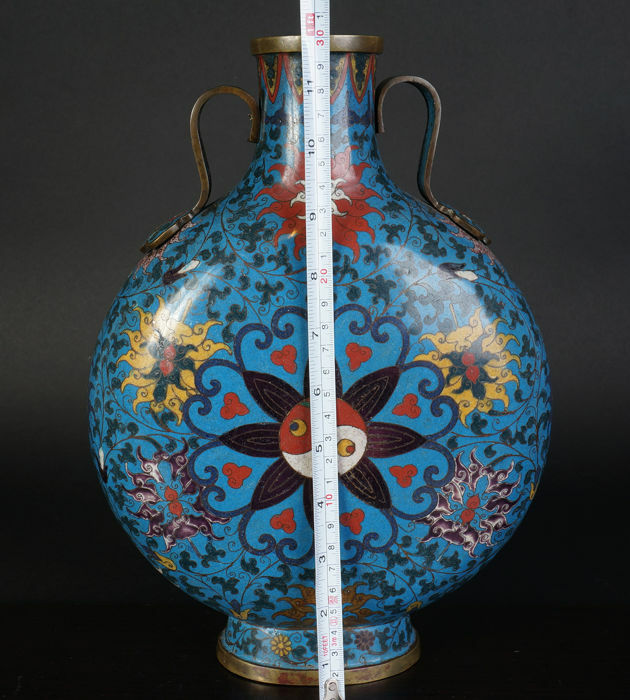 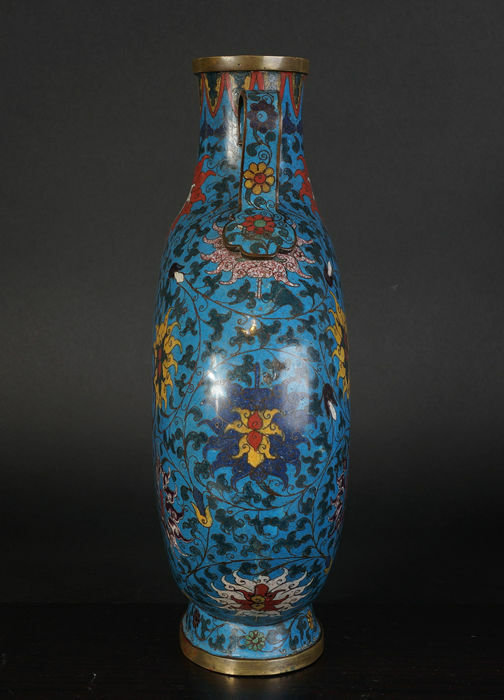 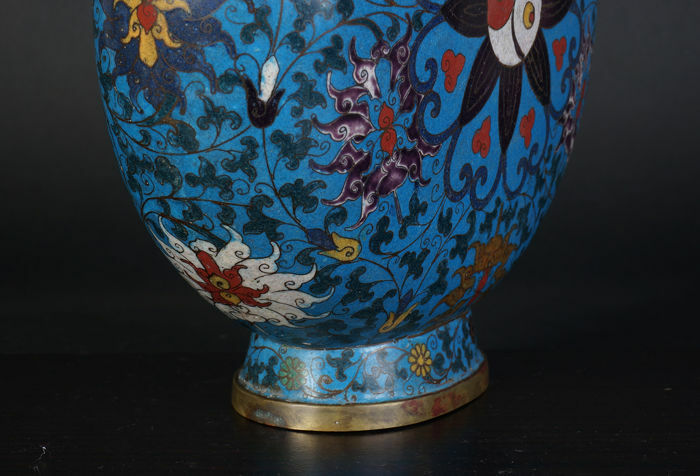 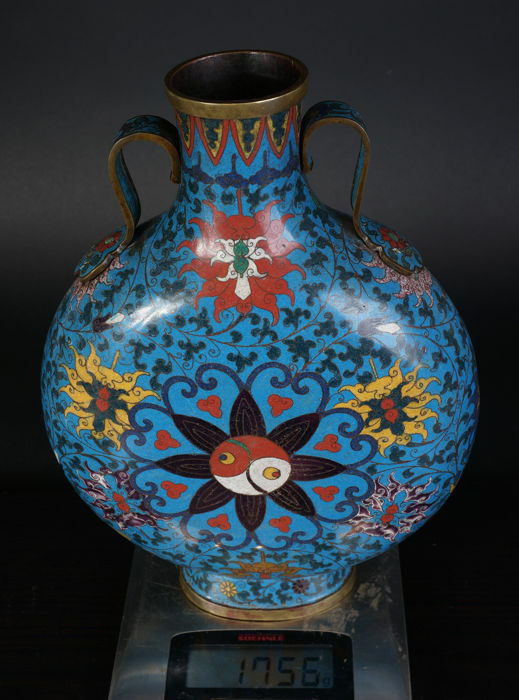 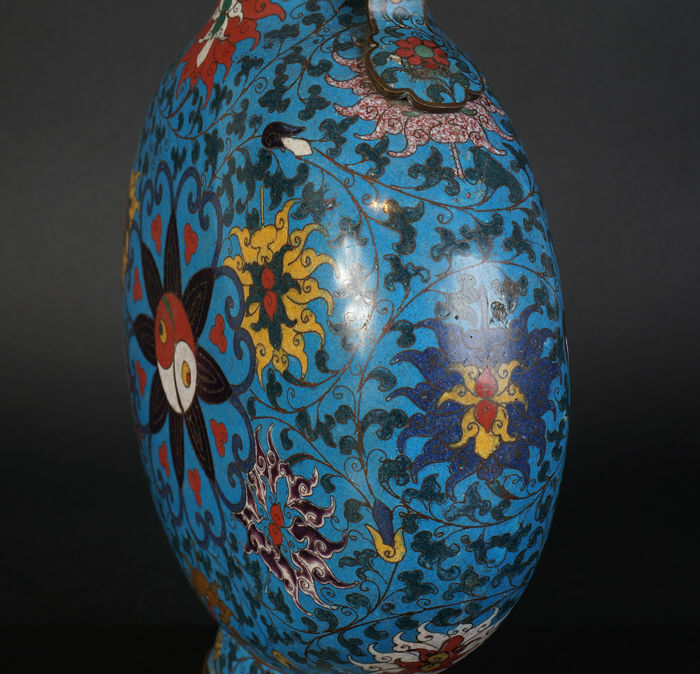 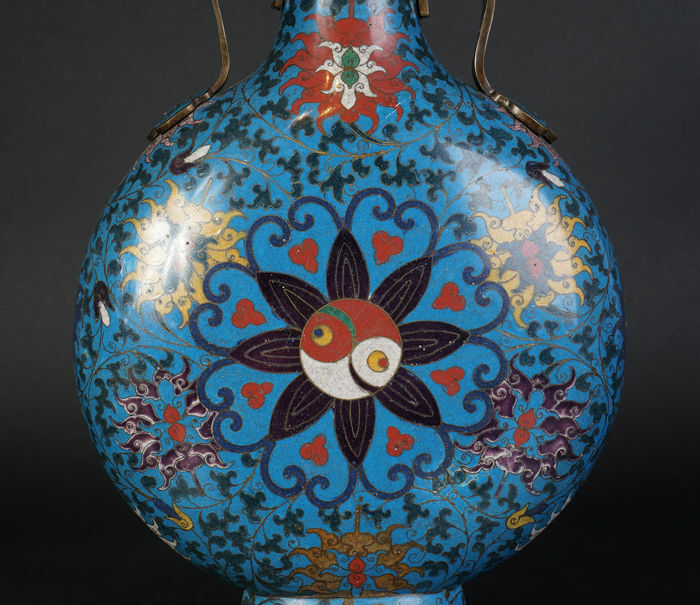 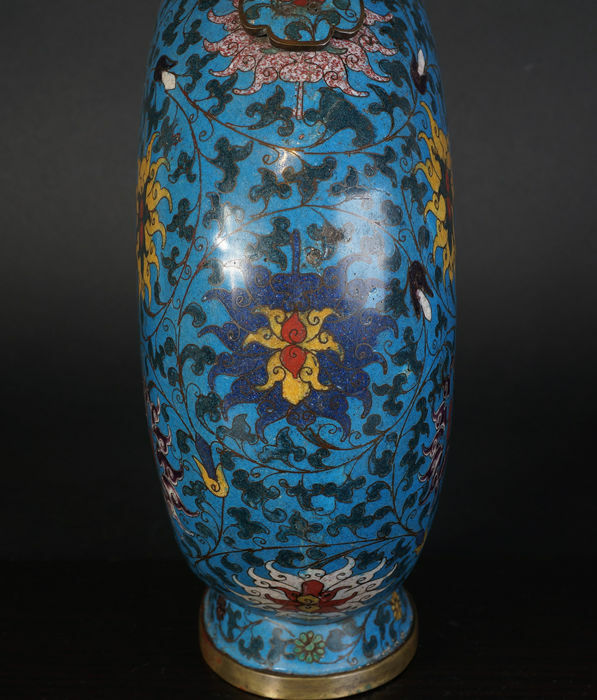 A very fine and exclusive finely decorated antique Chinese cloisonné moon flask vase from the late 19th century. 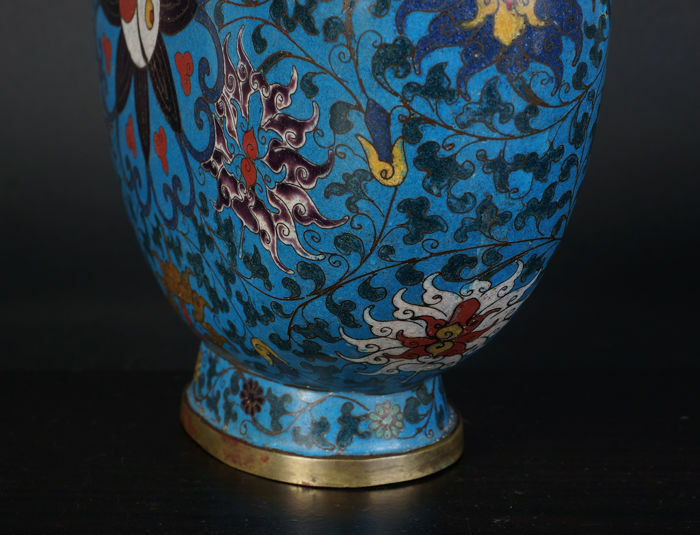 Very finely finished enamel. 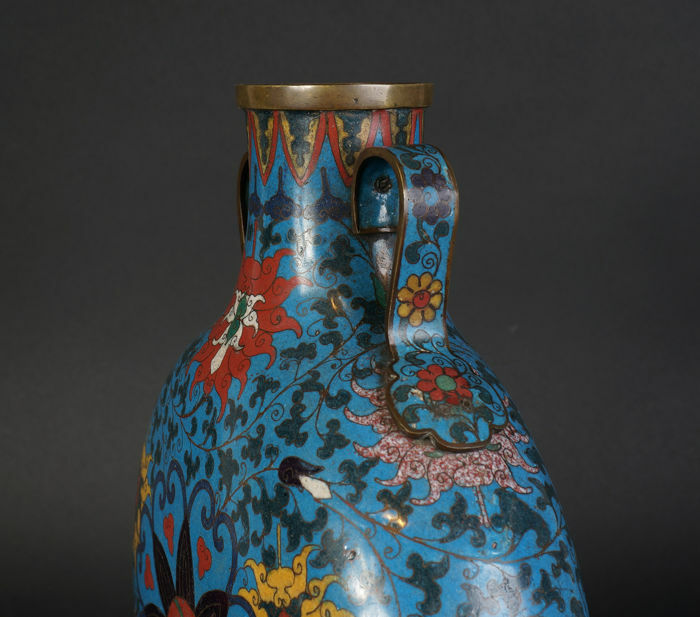 Decorated with flowers. 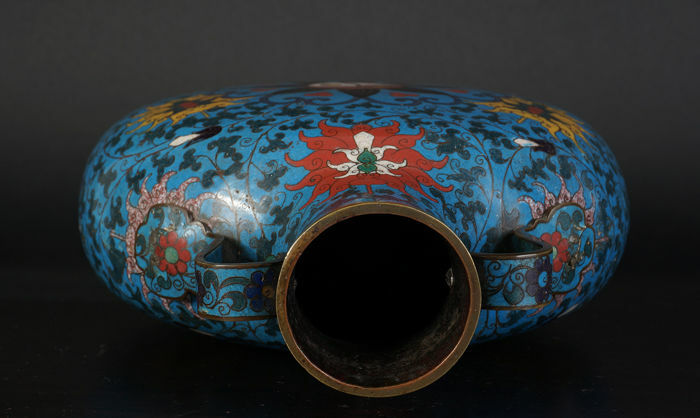 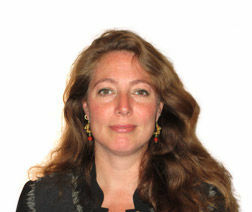 After example of the Ming period. 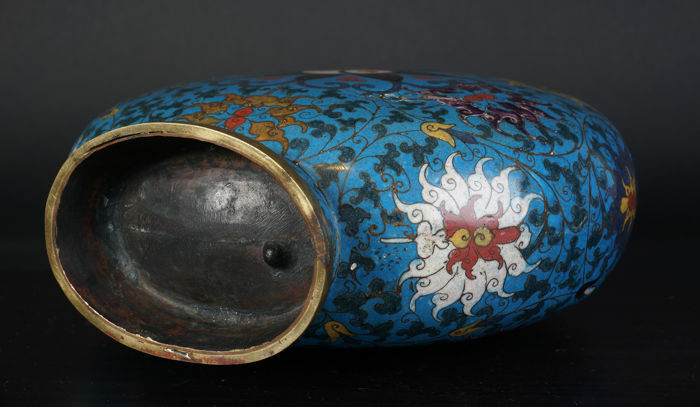 Very rare model.